Below a shot from the other side and you can see the curve of the bubble lenses which now look more like goggles as they appear to meet in the middle. From these shots it looks like the older grey and blue detailing have now gone as this more sleeker design has gone for a simple black and white colouring. Note also the asymmetry of the helmet which has only one front "mic" (on the left) instead of two. 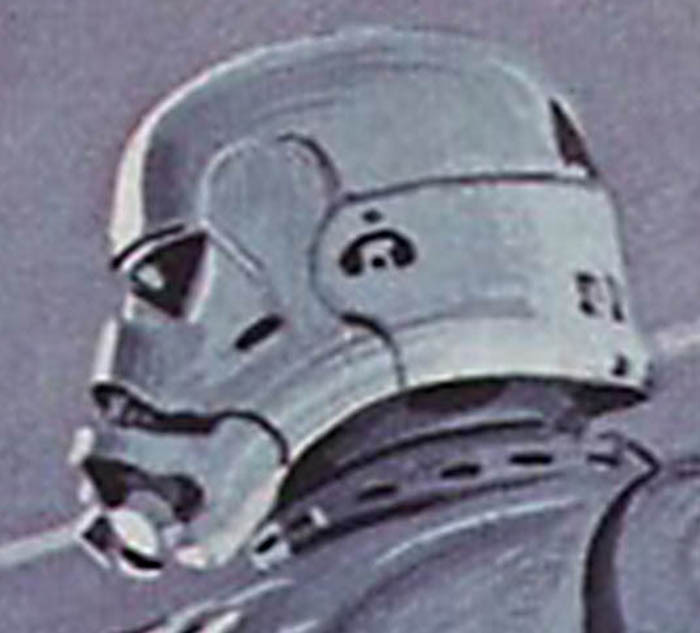 With the ear pieces gone, this design is very reminiscent of Ralph McQuarrie's' original 1975 designs (see below) - with a nod to them if you look closely at the ear detailing. This photo and the one of the "Snowtrooper" are from IndieRevolver with thanks.